Learning to read is an exciting milestone for kindergarteners. Early reading skills include letter recognition, phonemic awareness, decoding, blending, and sight word recognition. Go beyond worksheets to improve kindergarten reading comprehension and skill through hands-on learning activities, games, and targeted techniques. Build a foundation for comprehension by providing explicit phonics instruction and reinforcing new knowledge through interactive games. Select books with repetitive text that focus on topics your child enjoys, and read each one multiple times. Repetition encourages comprehension. While you read, help your child make connections by asking questions about the story and encouraging them to visualize it. Children need explicit phonics instruction. This instruction builds on phonemic awareness to teach the relationship between letters or groups of letters and sounds. The most effective phonics instruction follows a specific sequence beginning with vowel and consonant sounds and building to two and three letter blends, double consonant ends, plural words, and diagraphs (letter blends such as ch, sh, bl, and th). Finally, kindergarten students should work on recognizing high-frequency words commonly known as sight words. Fry words and Dolch sight words are two such word lists. Get young children involved in hands-on activities that improve their phonemic awareness and reading comprehension skills. Start with two blank dice. On one, write word-beginning consonant sounds (example: b, s, t, m, p, r). On the second, write word-ending vowel-consonant sounds (example: at, op, an, in, ap, et). You should be able to combine the beginning and ending sounds to create consonant-vowel-consonant (CVC) words. To play, invite your child to roll the dice and read the resulting word. Some of the combinations will be nonsense words, but that’s okay. Nonsense words still provide practice blending sounds. If desired, ask students to identify which words are real and which are nonsense. Send children on a CVC or sight word scavenger hunt through classroom books with a simple I Spy game. Ask them to search the books for CVC or sight words, then report back on the words they find. Encourage students to act out a scene from a book they are reading. This fun, simple activity adds meaning to the words on the page, and helps children focus on and visualize those meanings. Use a preprinted sight word bingo card or fill a blank template with sight words or CVC words. Create a few different card options and give one to each student, along with marker chips. Call out the words one at a time. As students locate each word on their card, they will cover it with a marker until they have five in a row. You can use preprinted bingo cards or try other printable sight word games. When looking for books that kindergarten students can read independently (or with a little help), it’s important to keep a few facts in mind. First, children should recognize and be able to read 90% of the words in a “just right” book. It helps to remember the 5-finger rule. If a student makes five errors reading a page from a book, it’s too hard. One error is too easy. Four errors might mean the book is okay to try with some help. The sweet spot for a "just right" book is only two or three errors per page. Second, remember that it’s okay for children to read the same book multiple times. It may seem as if this isn’t helpful for reading comprehension because they are memorizing the text. However, becoming comfortable and familiar with text improves reading fluency, vocabulary, and word recognition. Similarly, reading books with repetitive text, such as "The Foot Book" or "Hop on Pop" by Dr. Seuss, improves reading comprehension. Include books with familiar sight words such as "Big Brown Bear" or "Big Pig, Little Pig," both by David McPhail. Finally, help children select books on topics that interest them. Keep in mind that some children prefer fiction books while others thrive on non-fiction. Try non-fiction books written for early readers such as "Baby Pandas" by Bethany Olson, "Big Shark, Little Shark" by Anna Membrino, or "On a Farm" by Alexa Andrews. One of the easiest ways to assess reading comprehension in kindergarten students is the Informal Reading Inventory (IRI), also known as a Qualitative Reading Inventory. 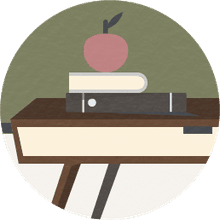 The IRI allows instructors to individually assess a student’s fluency, word recognition, vocabulary, comprehension, and oral reading accuracy. Kindergarten students should be assessed in the middle and at the end of the school year. Children are usually asked to read a passage aloud. Reading fluency rate is determined by how many correct words a student reads in one minute. Oral reading accuracy can help an instructor determine a student’s reading level and ability to decode words. Comprehension can be checked by asking questions about the passage or asking the student to summarize what he read. Vocabulary is assessed through open-ended questions about words in the passage. It is important for children to see that their parents and teachers value reading. Teachers can help by setting aside 15 to 20 minutes for silent reading each day. During this time, students and their teacher choose books to read silently. Parents can help by making sure that children see them reading at home. 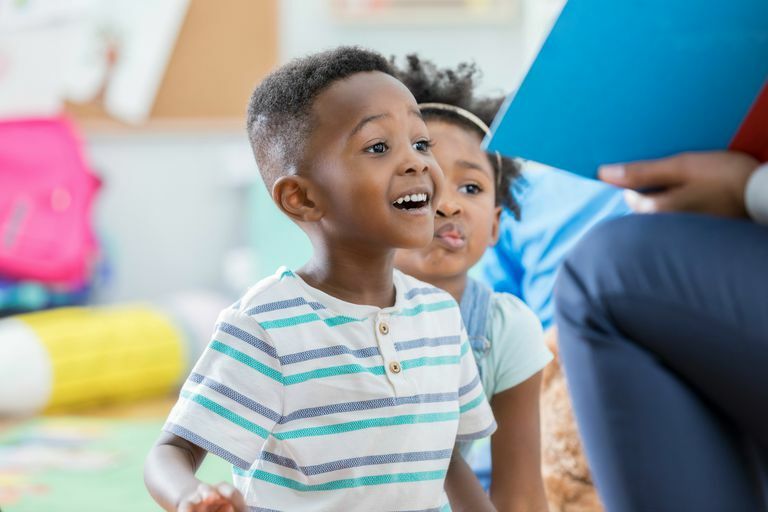 Teachers and parents should read aloud to students regularly so that children can hear the role that reading rate and voice inflection play in fluency. Choose books that are above the level that children could read on their own to expose them to new vocabulary. Parents should make bedtime stories part of their nightly routine. Improve kindergarten students’ reading comprehension by asking questions. Before reading, look at the book’s title and illustrations and ask students to make predictions about what will happen. During the story, ask questions about what is going on, what students think will happen next, or what they would do if they were the main character. After the story, ask questions about what happened, how the story made the children feel, or why they think the book ended the way it did. Helping students make connections is another effective technique for improving comprehension. Give students a foundation for what they’re reading. Talk or watch a video about unfamiliar experiences before reading about them. Help children connect stories to their own experiences. When reading a book about a boy getting a new puppy, for example, talk to students about who has a pet. Ask where they got their pet and how they chose it. If those tips don’t help, students may be reading a book that is too difficult. Don’t forget the 5-finger rule! Anchor charts are resources to help students remember the key concepts about what they’ve learned. Anchor charts for reading comprehension might include reminders about decoding techniques, making connections, or visualizing the story. Increasing a student’s vocabulary in an excellent way to improve their reading comprehension. Give students confidence in their budding reading skills by defining unfamiliar words ahead of time so that they don’t lose the meaning of the story. Teach them to infer the meaning of a new word from the context of the story. For example, if a student reads, “The tiny ant goes in the little hole,” he may be unfamiliar with the word tiny but recognize little from his sight word list. Teach kids to ask themselves questions such as, “What could go through a little hole? Would it be something small or something big?” By reading the word in context, kids can learn to infer that tiny must mean small or little. Teach children to create mental images, often called brain movies or mind movies, when they are reading. Ask them to draw a picture of what is going on or what the character is thinking or feeling. Instruct them to use their five senses to picture the action of the story in their mind. Envisioning the action of a story is a fun way to improve students’ reading comprehension.